Chiropractic care can help improve this condition. We look at your overall health examining your spine as well as other factors of your lifestyle. 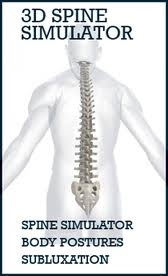 The goal of chiropractic is going to keep the spine mobile which in turn will help slow or stop degenerative changes that happen in the spine due to scoliosis. These patients can and will develop abnormal wear in the joints and discs of the spine due to the abnormal pressures put upon them. That is why its very important to keep the spinal segments mobile, balanced and aligned as much as possible. We may be able to improve some of the curvature, especially in adolescents who have not met skeletal maturity . Most exams for scoliosis include the Adam’s Forward Bending Test and have been adopted by many schools, whereas they test for this in physical education classes. It requires the person to bend at the waist as someone views the spinal alignment. If there is an abnormal prominence or hump we can help you. We will measure the length of the legs to determine unevenness. We also perform a range of motion test that measures the degree to which the patient has mobility at the waist. The best way to monitor scoliosis is with x-rays and chiropractic analysis. An orthopedic brace typical does not work. Most people won't wear them. The medical approach is a wait and see approach to see if the curve progresses. This is the last thing you want to do. Why wait until the only intervention is surgery?? It's very important to see a chiropractic physician to help this condition.